Ever wish you could charge your phone or tablet in half the time it normally takes? If you use your phone a lot, especially for data and videos, you probably run out of battery power far more frequently than you’d like. Not all smartphones have the same battery length and some take longer to charge than others. Now there’s a new mobile device charger from Velvetwire that claims to recharge your phone or tablet in half the time of standard chargers while offering a few other benefits you may be interested in. The charging device is called PowerSlayer, and they’re calling it a smart wall charger because, besides speeding up the charging process, it comes with an auto-off function that helps keep your battery from overcharging while increasing its life. According to HYLA Mobile, you shouldn’t recharge your phone until it’s completely out of power. Doing otherwise purportedly robs you of battery life. They also say you should keep it in moderate temperatures and shut down all your apps and programs when they are not being used. This helps prolong battery life. If you’re like most people, you probably don’t want to allow your mobile phone to run out of battery power and shut off completely due to the amount of time it takes to fully recharge it. With PowerSlayer, you don’t have to worry about that anymore. 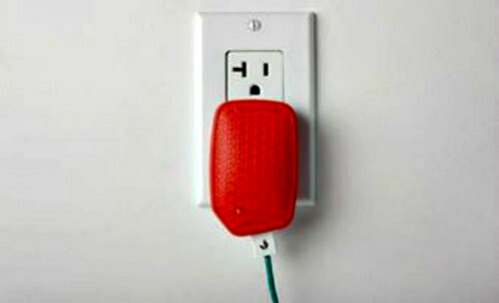 Another cool feature of the product is it’s supposed to work as a surge protector for your mobile devices, too. This would be super handy during thunderstorms or if you’re living someplace where power stability is an issue. It makes for worry-free charging. 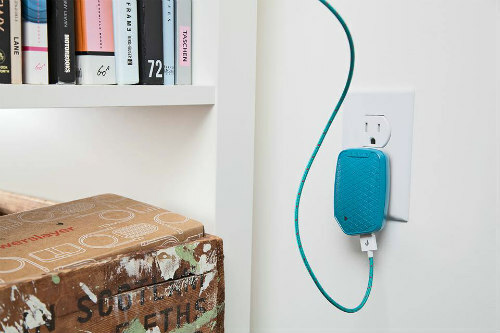 Roughly the same size as standard chargers for mobile devices, the smart wall charger is designed to handle power from 100-240 volts. It features an indicator light for showing charging status at a glance. Additionally, with a proper prong adapter, it can be used with various foreign voltages. Available in four different colors, you can choose one that best suits your personal flair. 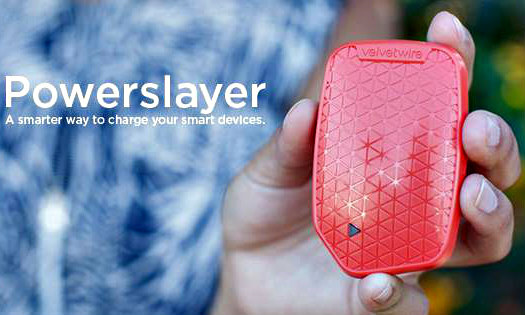 Inside, Powerslayer has a mini computer that continuously monitors and controls the charging process for keeping things safe and optimized. Keeping your battery maxed out at 100 percent may be comforting to you, but the batteries themselves don’t like it. The Powerslayer turns off charging when the battery reaches full capacity and allows it to rest for a while before automatically turning itself back on in order to top off the battery again. The process is called Softcharge, and it gives your batteries time to relax while keeping them at or near fully charged, automatically. This alleviates the concern the device may have a meltdown and catch fire. Mobile devices aren’t the only things that sometimes burn up. Phone chargers themselves have been known to overheat and start house fires. They don’t even have to be connected to your phone, necessarily. Simply leaving them plugged into a socket continually can be enough. Having a charging device that negates the possibility of either of those events happening is probably worth purchasing a new smart charger.